The former Sertec building (corso Jervis 60) housed the engineering of services for civil and industrial construction (from the installation design to structural calculations) founded by Antonio Migliasso, the engineer who followed all Olivetti building sites in Italy and abroad from 1948. 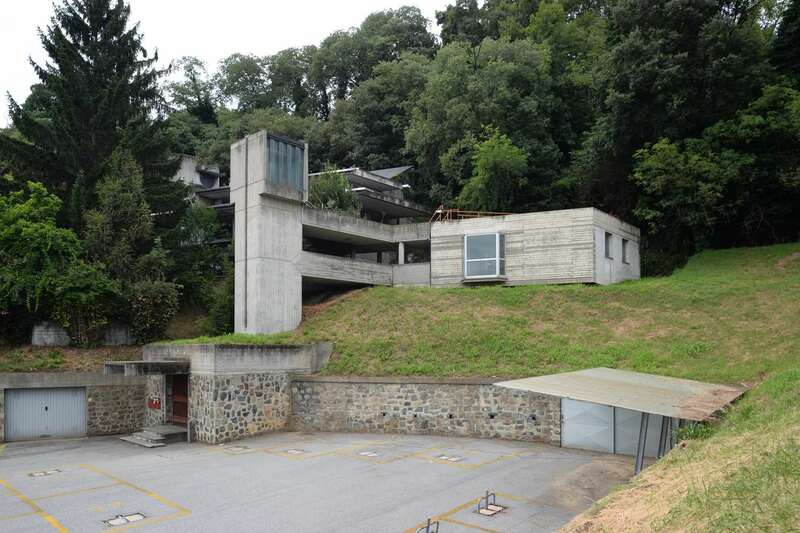 The building was notable for its time, both for the function of Sertec as well as for the function of the Tekne company founded by Roberto Guiducci, a leading Olivetti technician and intellectual. Tekne is one of the Italian engineering companies, rooted in the technical departments of large industrial groups, which collaborated in many ways and on many different levels to the urban context construction process and the modernisation of Italy and other countries. Hence, this building became particularly important both for tracking the historic activities of the processes and players rarely explored when constructing an industrial city and for the design by Milanese engineer Ezio Sgrelli (1968), who belongs to the few with ‘brutalist’ roots in Italy. 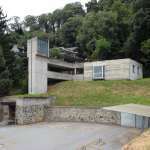 This building, an extension of a pre-existing building, is set on a hill and is externally distinctive for its visible reinforced concrete vertical lift tower onto which the strongly projecting corridors were grafted and by the strongly jutting concrete projecting roof of the entrance on the ground floor. The inside, with an elegant office crowning the last floor, has an oval staircase leading to the floors set back with respect to the line of the façade, following the contours of the hill on which the building stands. The inside also features graphics and the use of red, in harmony with the popculture of the time. In 2007, the architect Sgrelli designed the service area on the east side of the building applying the same architectural language and the same compositional features as in his first intervention.